It's your turn to be transported by the Sainte-Jeanne! In Erquy harbour, the Sainte-Jeanne is already inviting you to crest the waves. Give yourself a salty treat: up to 18 people can sail aboard this sloop for the day. 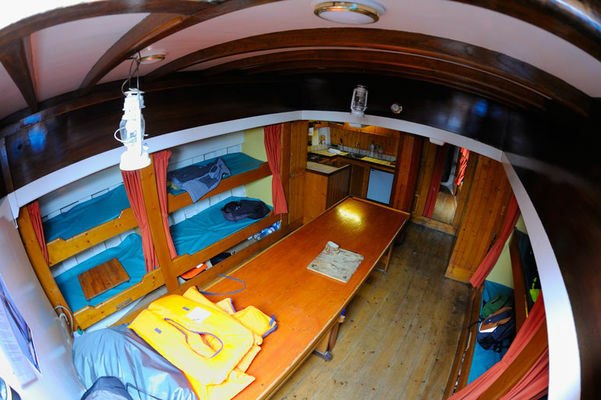 The world of traditional sailing comes to life on board the Sainte Jeanne. Luckily the skipper and crew know the ropes of this fore-and-aft rig with its 52 pulleys! 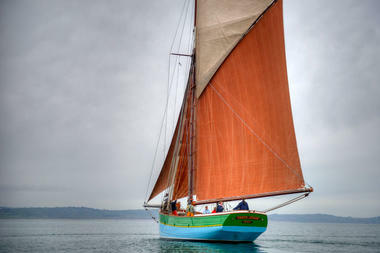 With a few instructions, you can have a go at handling the sails and even take the tiller. It's such a pleasure to feel that impressive hull responding to your movements. Face to the wind and eyes on the horizon, there you are (albeit temporarily) master of the ship. To celebrate your achievement, it's time to drop anchor hard by Fort la Latte and share a friendly picnic. 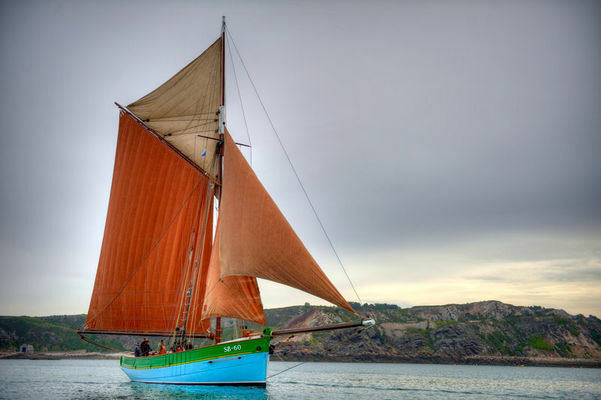 As you pass the magnificent Cap Fréhel, or sail by the extensive beaches of Pléneuf-Val-André, you'll have plenty of time to learn about the boat's history. This 1912 sloop used to carry cargo before it was reborn as a pleasure craft. A reincarnation that pleases everyone!